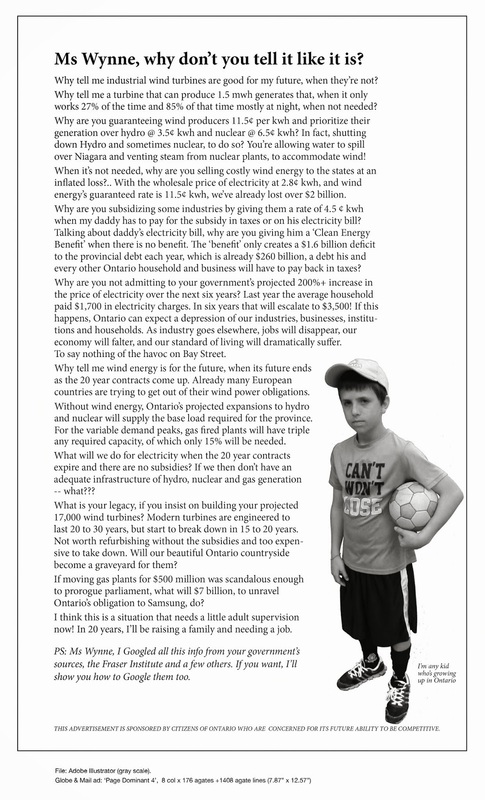 “Let’s call the whole thing off” | Mothers Against Wind Turbines Inc.
Do you enjoy being a raw hypocrite? Well, if you’re a taxpayer in Canada that’s what you are because you support raw hypocrisy every day in the various hearings on environmental matters that take place. I’ve written in the past, from personal experience, about environmental assessments of independent power projects (IPPs), the environmental disgraces of British Columbia, and how they are so biased in favour of industry that it defies all but spluttering language of anger. Why don’t we just abolish the National Energy Board and all other boards like it and allow environmental projects to be judged strictly by the industry itself, with the customary pat on the corporate head from the prime minister? At least this would make honest men and women of us. The recent resignation of economist Robyn Allan as intervenor in the TransMountain pipeline hearing, coupled with the earlier resignation of former BC Hydro head Marc Eliesen from the same hearing, have made plain that these so-called environmental assessment boards are making mockery of the notion of natural justice and idiots of us who pay for it. … decisions made by the Board at this hearing are dismissive of Intervenors. They reflect a lack of respect for hearing participants, a deep erosion of the standards and practices of natural justice … and an undemocratic restriction of participation by citizens, communities, professionals and First Nations either by rejecting them outright or failing to provide adequate funding to facilitate meaningful participation.